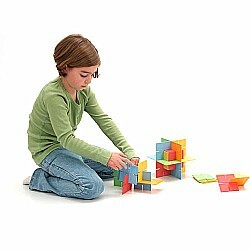 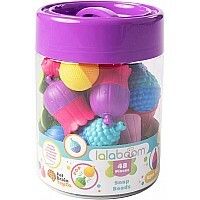 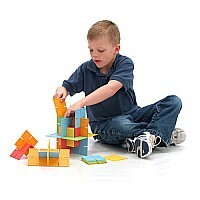 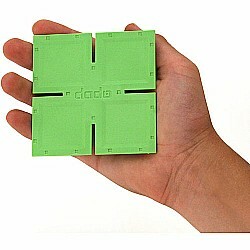 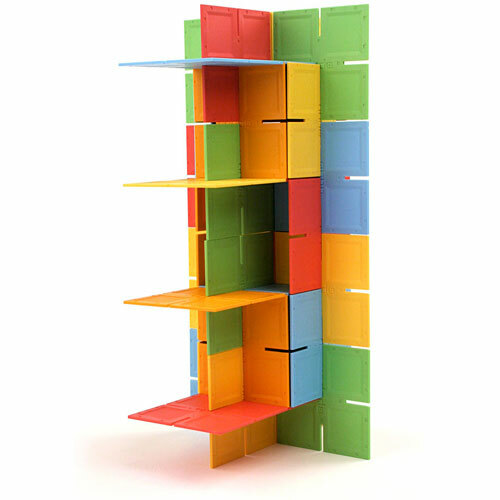 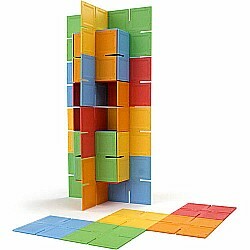 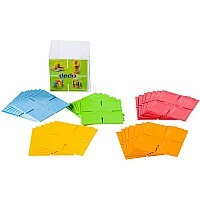 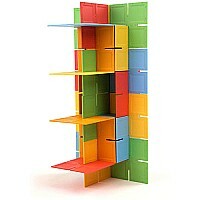 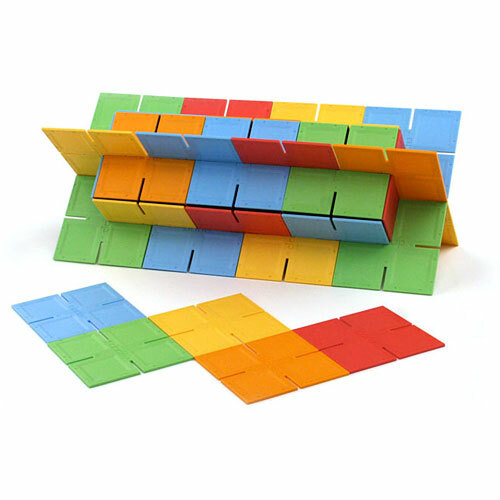 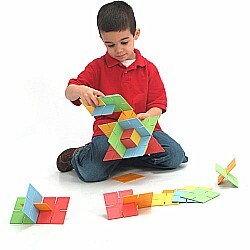 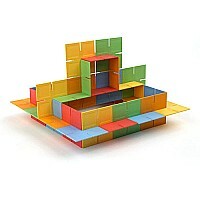 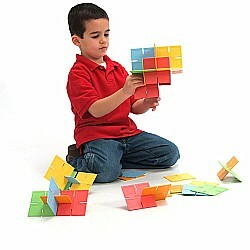 Dado Squares are the newest addition to the Dado toy line inspiring complex thought through its simple design. 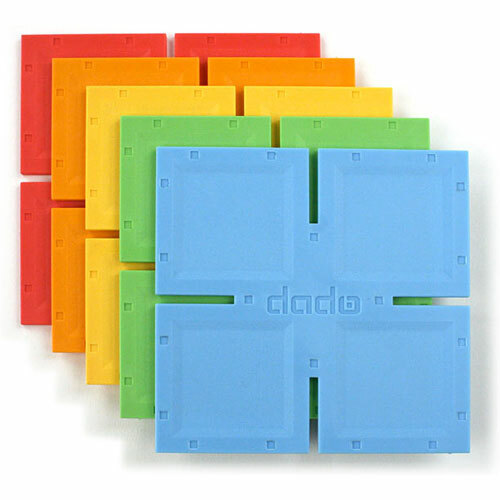 Whether you favor art or science as you explore architectural principles...proportion, balance, structure and color, Dado Squares are sure to stimulate and entertain your mind. 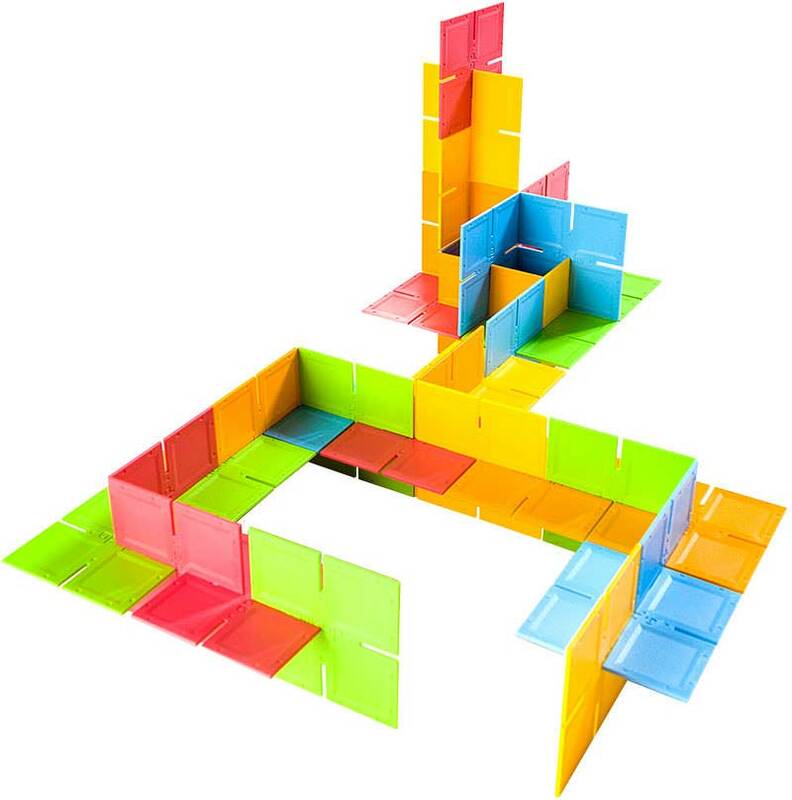 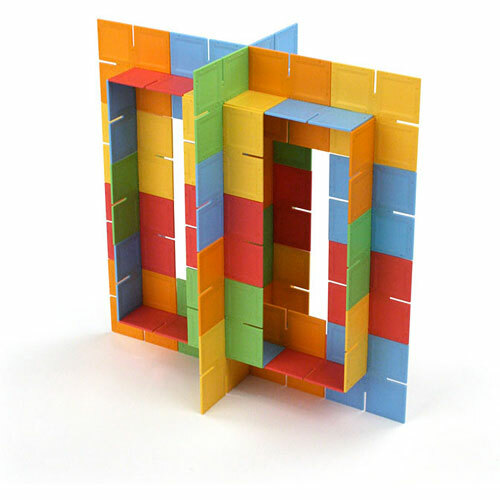 Create any number of three-dimensional structures and explore visual spatial development and problem solving with this simple toy. 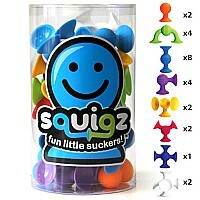 Educational and fun! 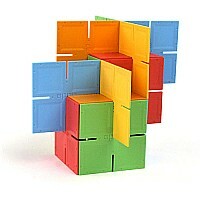 Each set features 35, 3" squares and can be used to create structures over 3' high! 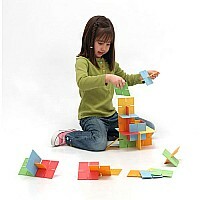 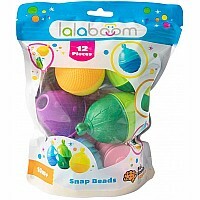 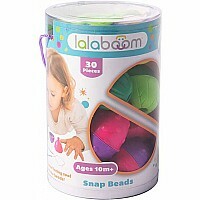 Made of durable, heavy-duty plastic Great for ages 3+ Developed and manufactured right here in the USA! Dado Squares and Visual Spatial Learning Visual Spatial Learning has captured the attention of scientists and educators as being highly valuable in child development. 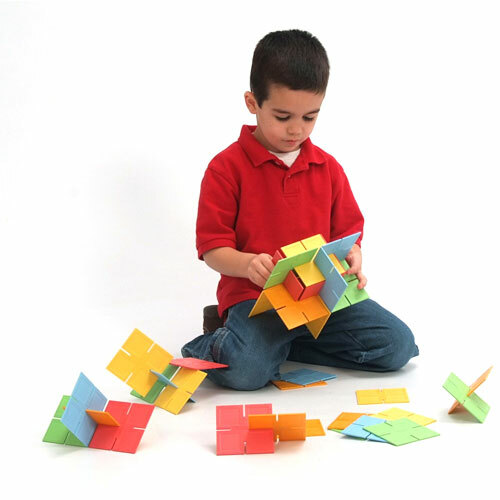 Visual Spatial Play refers to the ability to mentally picture things and is characterized by the ability to appreciate patterns & form in very large or small areas of space. Children with profuse Visual Spatial Intelligence can construct three-dimensional mental images and visual them from multiple perspectives. A keen eye for form, design, color, size, shape and space enables these gifted children to create realistic representations of real world images. 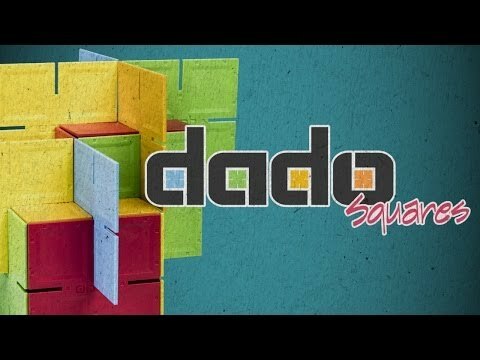 Dado Squares are Simple...Simple Design that Inspires Complex Thought In Tom West's book, In the Mind's Eye, he suggests that in the 21st Century, strong visual skills will be crucial elements to success: "Ready recognition of larger patterns, intuition, a sense of proportion, imaginative vision, the original and unexpected approach, and the apt connection between apparently unrelated things...". 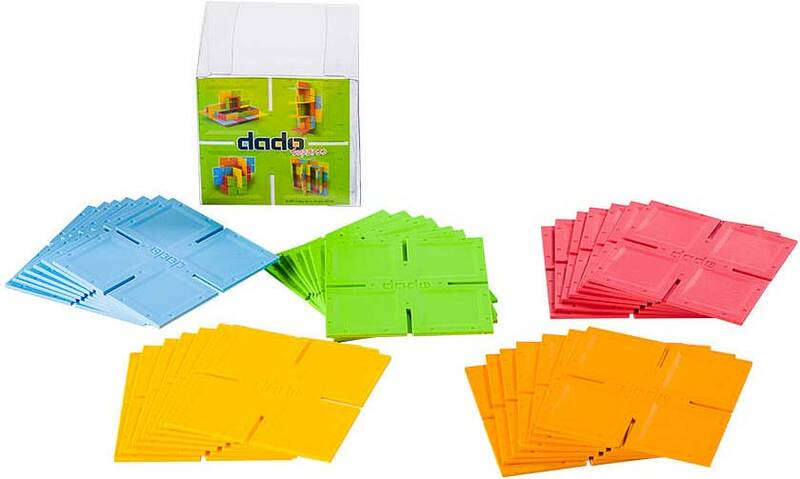 Through Dado's simple shapes and intuitive system of construction, people of all ages find Dado engaging. 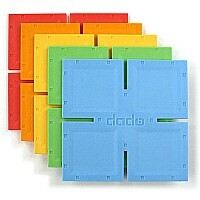 Measures approximately: 3.50 x 3.50 x 3.50 inches..